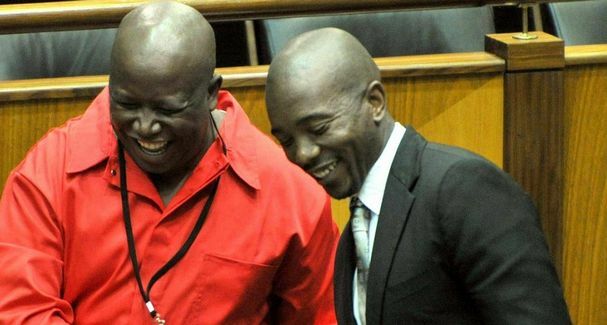 Four political parties, including the DA, and EFF, have held informal discussions ‘to create a united front’ to challenge the ANC in the local government elections later this year, according to the Sunday Times. These coalition talks were confirmed by leading figures in four opposition parties, with DA spokeswoman Phumzile van Damme telling the Sunday Times that Mmusi Maimane has had “some very informal discussions with other party leaders about [these coalitions]”. The EFF won 6% of the vote in the 2014 general election, while the DA improved to win 22% of the vote. The ANC vote declined to 62%, from 66% in 2009. According to the Sunday Times, it has been proposed that each opposition party should contest elections separately, with the exact nature of coalitions to be thrashed out in those municipalities where the ANC loses. However, where a single opposition party attracts more than 50% of the vote, as the DA is expected to do in Cape Town, no coalition will be formed, the Times said. The full report is in the Sunday Times – 31 January 2016.